It’s never too late to learn how to ride! Horse riding is a fun, active sport no matter what your age or ability. It’s really good for you, improving your fitness, posture and core strength. Being around horses is also proven to reduce stress and is a great way to get out into the fresh air and unwind. Whether you’re a complete novice, an experienced rider, or perhaps you just haven’t ridden for years, we’ll get you into the saddle safely, and ready to achieve goals beyond your expectations! At Lavant Equestrian we have an unusually large selection of safe, well-trained horses, of various sizes and types to suit all skill levels. Our forte is teaching people how to ride confidently, and we’ll ensure that you feel safe and comfortable from the get-go. Don’t just take our word for it – head over to our testimonials page where you can read feedback from our riders for yourself, or have a look at our 5 star reviews on Google and Facebook! 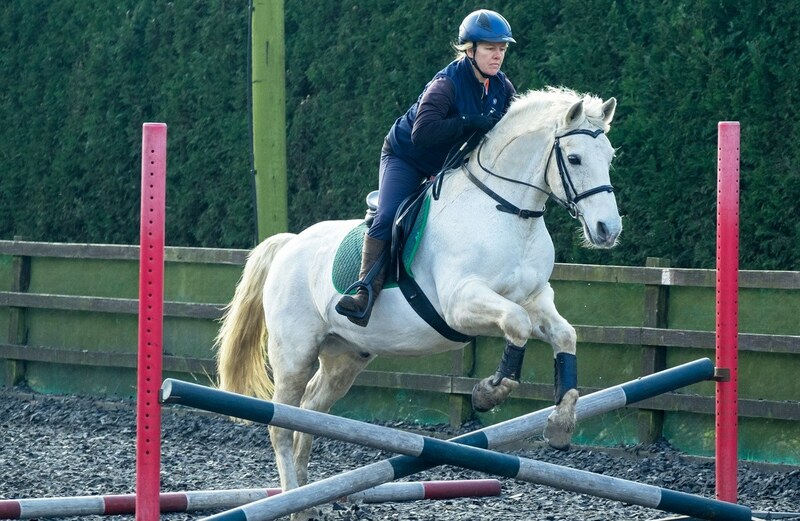 We offer an introductory session which gives you the chance to meet the team, explore the facilities and discuss where you would like to go with your horse riding. From there, we’ll advise you on next steps. We’ve viewing galleries and a cosy club house with free Wifi, tea and coffee for you to enjoy too. Throughout the year we have an exciting and varied programme of events, clinics and courses to suit all abilities and ambitions. It is a great way to meet like-minded people and make new friends. We also prepare people for British Horse Society examinations, have a unique horse loaning arrangement for our members and if you’re ready to buy your own horse, we can find you the perfect match.